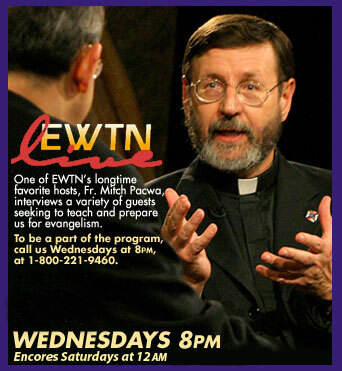 On Wednesday nights, join one of EWTN’s longtime favorite hosts, Fr. Mitch Pacwa, as he interviews a variety of guests seeking to teach and prepare us for evangelism. In the words of Fr. Pacwa, “…to understand our faith and live our faith better…” Enjoy the diversity of guests, learn more about your faith, and reawaken your desire to bring others to the Church.